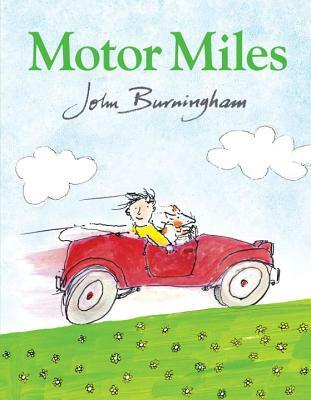 Miles is a difficult dog, until he gets his own car.... From picture book master John Burningham comes a delightful new story. Miles does not come when he is called. He does not like going for walks, his food, other dogs, or the rain. What Miles does like is going for drives in the car. So when Mr. Huddy makes Miles a car of his own, Miles becomes a much happier dog. And now he and his friend Norman can go on all sorts of adventures! Inspired by his own dog, Miles, renowned children's book author and illustrator John Burningham (who celebrated his eightieth birthday this year) creates a new picture book offering all the charm and exuberance of his best work.